Get Ready for Woolith Fair 2019! Woolith Fair is an event for yarn lovers and fibre artists from the Lower Mainland and beyond. 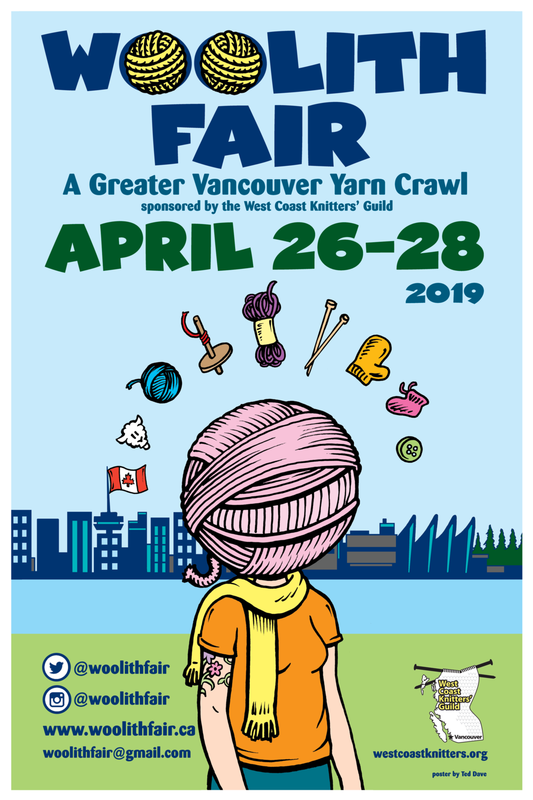 Organized by the West Coast Knitters’ Guild, this three-day yarn crawl is designed to get you out and about, and visiting as many Local Yarn Stores (LYSs) and fibre-related businesses as possible! The event is open to everyone – you do not need to be a Guild Member to participate. This is your one-stop spot for everything you need to know about Woolith Fair 2019. Explore the 23 Passport Stops, read the latest news, and check out the Map of where all the stops are located. If you have any questions, don't hesitate to contact us at woolithfair@gmail.com. You can also follow us on Facebook and Instagram! Follow us @WoolithFair and tag your posts #woolithfair to display them here!